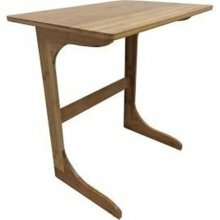 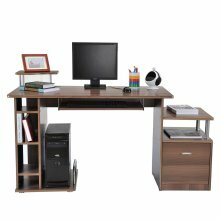 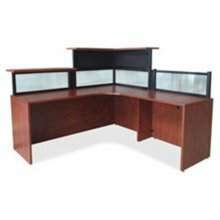 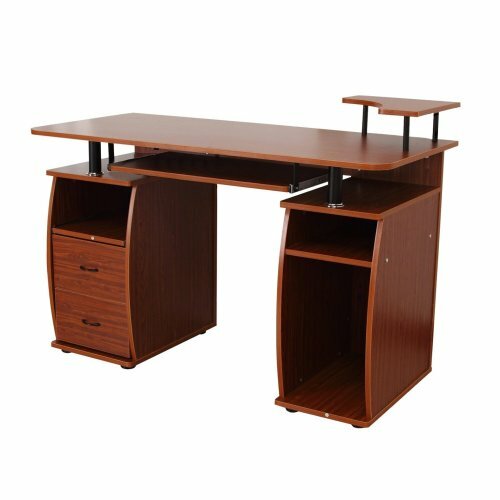 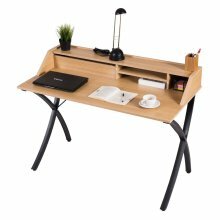 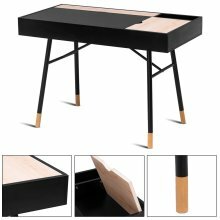 Transform your office into the workspace you deserve with this smart Homcom Wooden Office Desk. 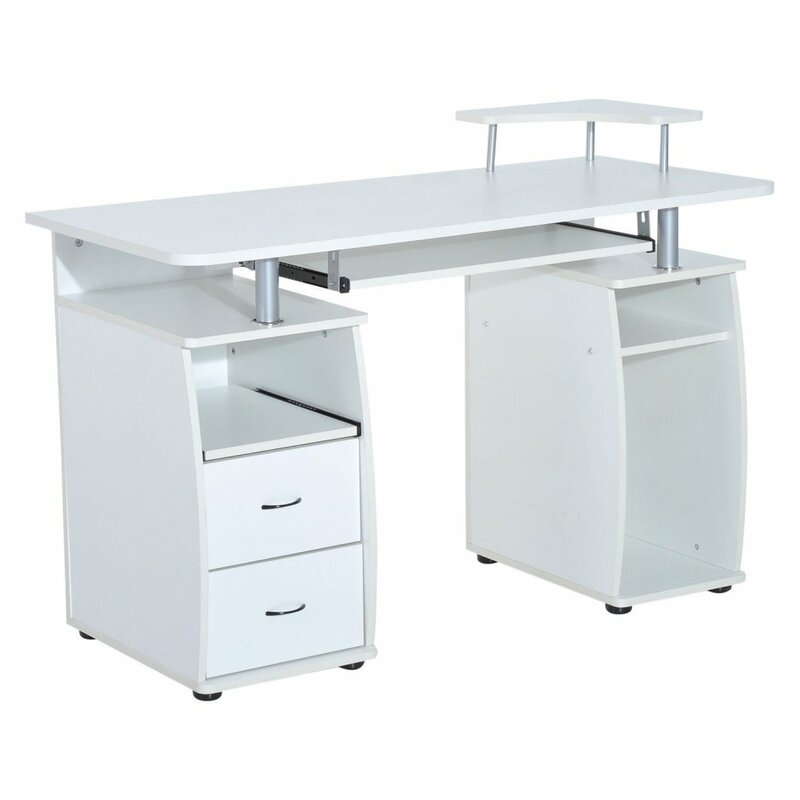 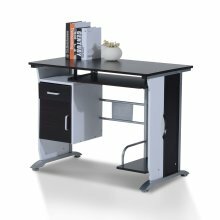 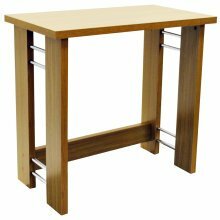 Designed with desktop computers in mind, the workstation features a smooth pull-out keyboard shelf, separate open storage cupboard and monitor shelf, leaving you with plenty of worktop space to let your ideas flow. 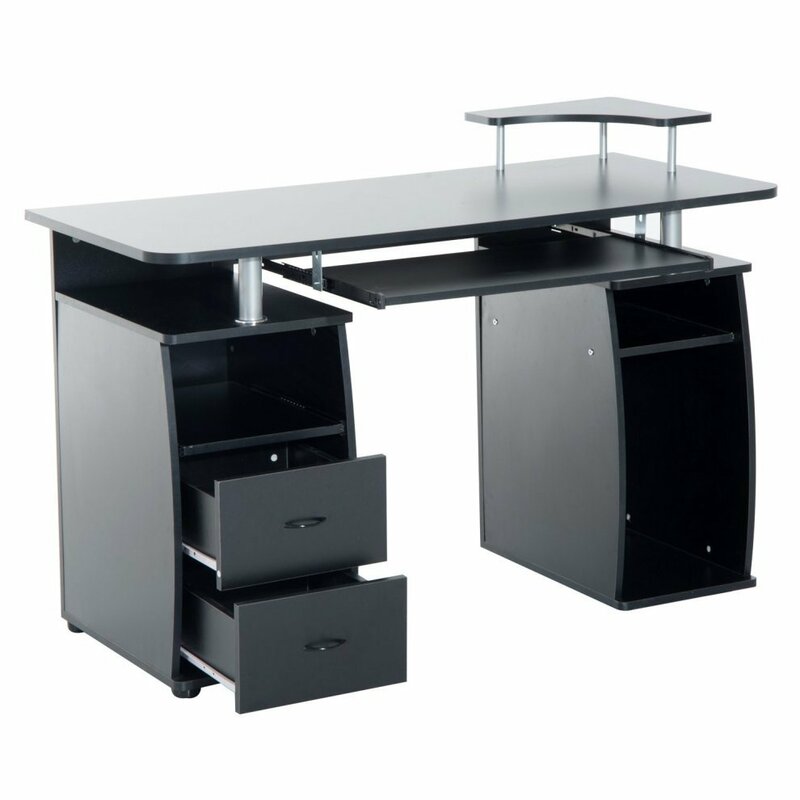 Its optimal height was designed to ease fatigue and ensure you’re always working to your best ability. 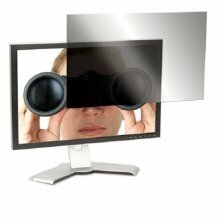 Sleek and elegant, it’s the perfect addition to any environment, fitting seamlessly into your home or place of work. 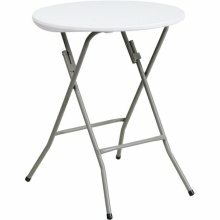 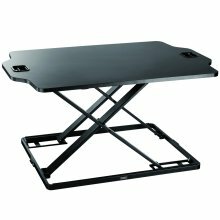 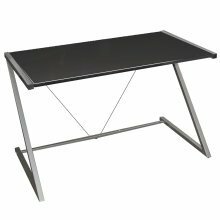 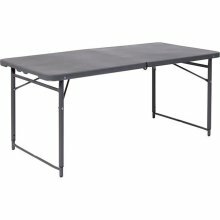 Flash Furniture DAD-LF-122Z-DG-GG Height Adjustable Bi-Fold Dark Gray Plastic Folding Table with Carrying Handle&#44; 23.5 x 48.25 in. 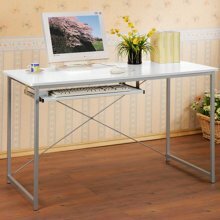 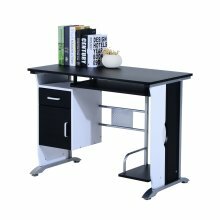 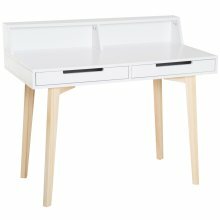 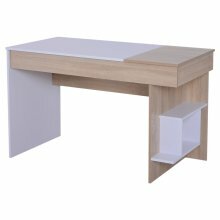 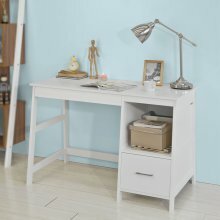 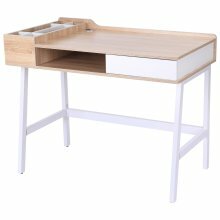 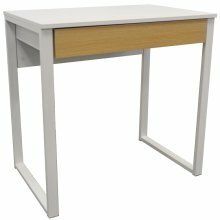 Add style with the Homcom Retro Computer Desk in White!